The above image is of a few iterations of a Newton fractal. 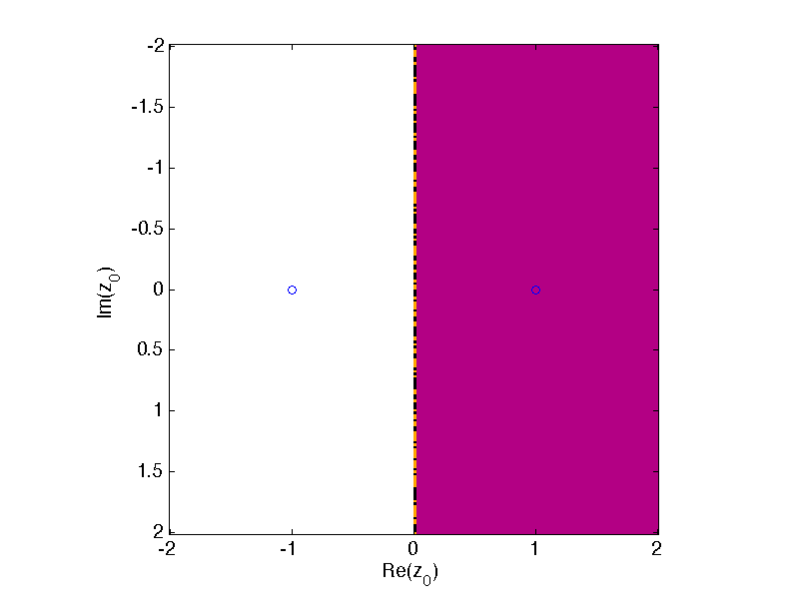 Assuming that isn’t quite enough information for you, a Newton fractal is a 2D plot of the complex plane – that is to say real numbers along the horizontal axis and imaginary along the vertical – where each point is coloured by the value of a complex number there. Newton of course didn’t have access to enough computing power to generate fractals (we assume…), so the name comes from the fact the fractals are generated through a series of Newton-Raphson iterations. we will gradually converge on the value of solving our equation – the root. There will in general be many roots depending on the function we choose (a polynomial of degree n will have up to n distinct roots – the Fundamental Theorem of Algebra). The two roots are marked by circles, and as expected if we start with a number whose real value is larger then zero we end up at the positive root (pink basin of attraction), and below zero we get to the negative one (white basin of attraction). Great. The three roots are again surrounded by their large respective basins of attraction (white/black/orange), but the boundaries between them are much more interesting this time, and repeat on ever-finer scales if we were to zoom in. How…fractal. 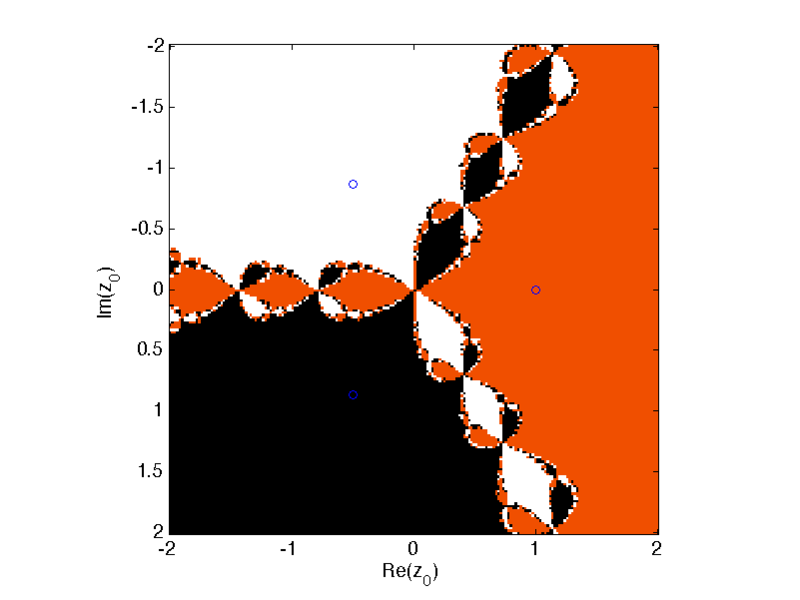 As an example of how this structure develops, the animated GIF below shows what happens as we increase the number of iterations – the fractal ‘copies’ itself along boundary lines and shrinks as it goes. If we were to repeat this process ‘to infinity’ we would end up with an infinitely detailed, infinitely complex object. Who knew cube roots were so much fun? and zoom in to the region around . Happy procrastinating!